It might snow today! Yes, just a few days ago it was 70 degrees and sunny, but today it could actually snow. 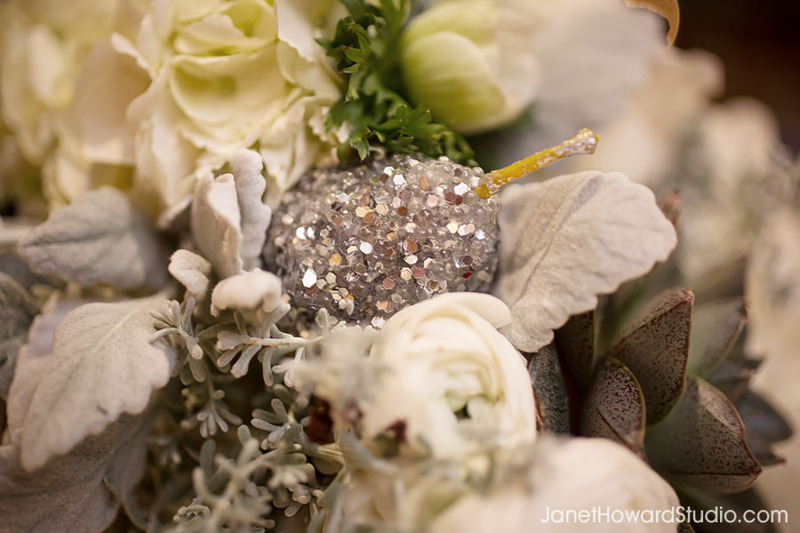 If you want to get in the snowy spirit, today’s wedding will help! 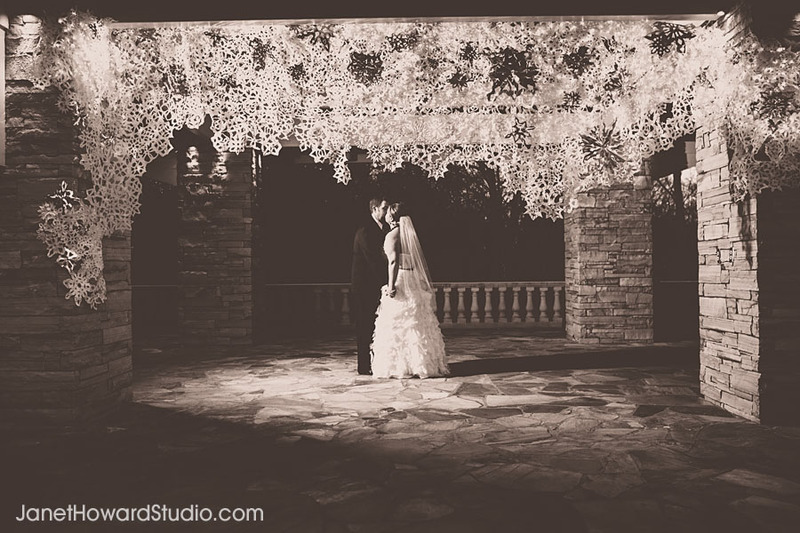 Erin and Corey got married December 30 at Villa Christina, and they got into the winter sprit in the most creative and fabulous way! 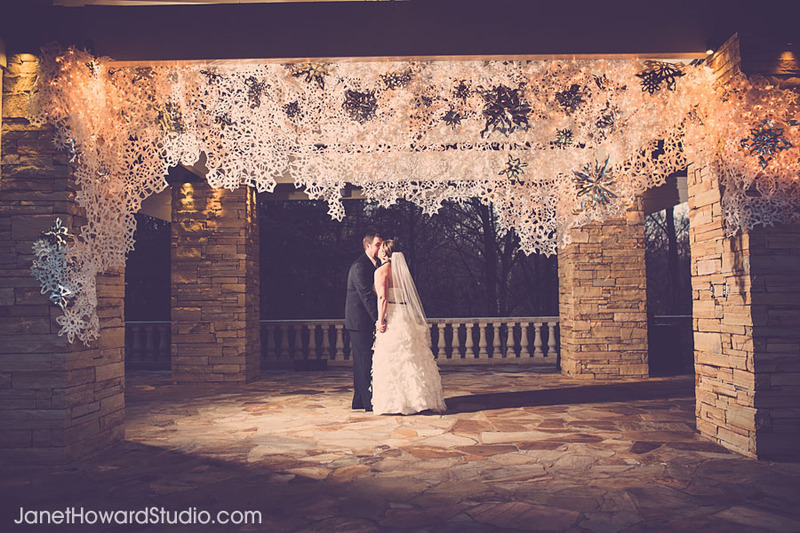 The centerpiece of the ceremony was this completely fabulous snowflake installation by Ashley Pepitone. SWOON. And I can’t decide if I like this better in color or black and white, so I’m showing both. Ashley lovingly cut 2000 paper snowflakes. TWO THOUSAND SNOWFLAKES, y’all. 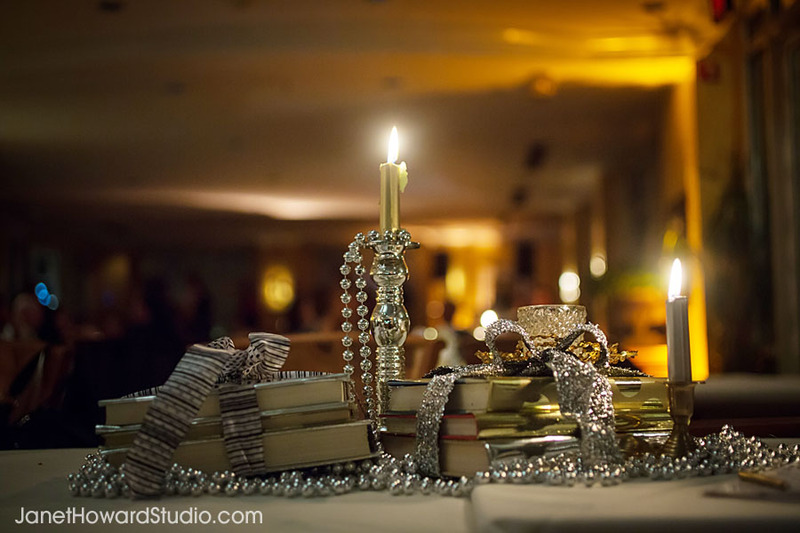 I love how they provided a festive and creative backdrop for our photos. And as you can see, their family has the personality to sparkle right alongside each unique snowflake. 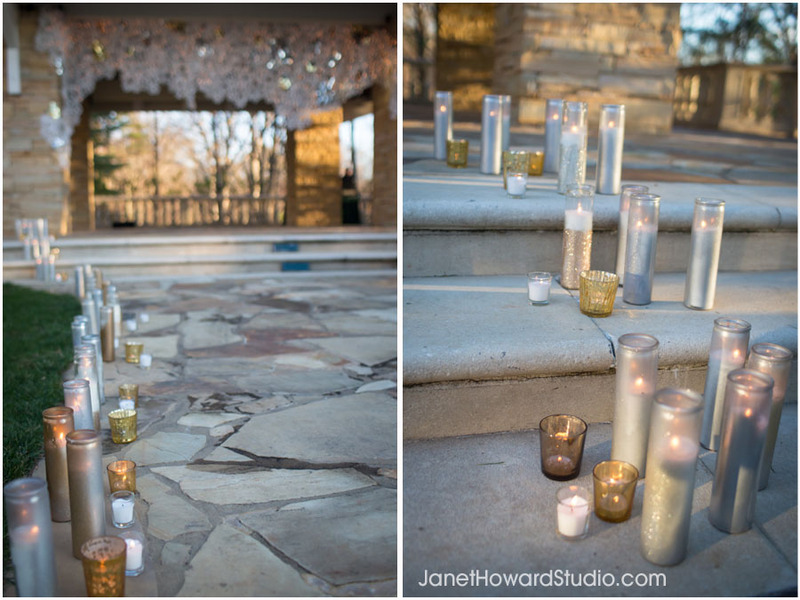 The aisle was lined with candles. 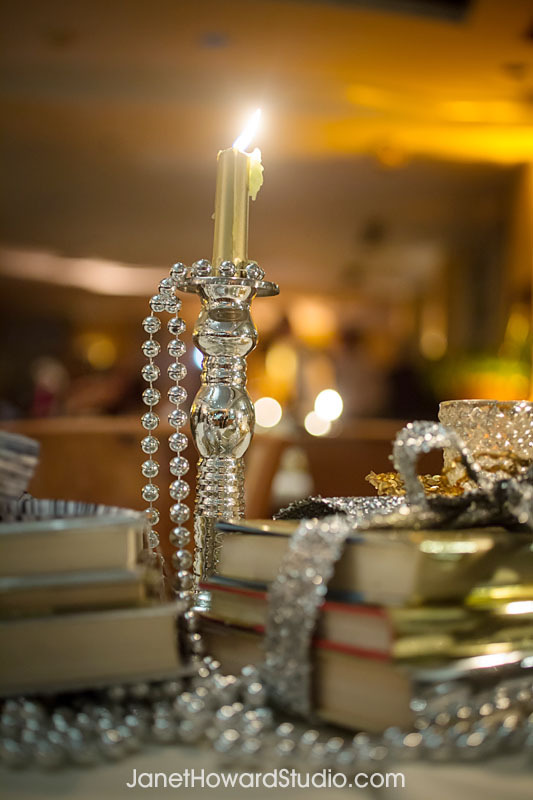 One of the things I loved most about this wedding is how they really made the details fit their personalities. Erin is NOT a traditional bride. She’s irreverent and unique, with a rollicking sense of humor. The word “fun” doesn’t even begin to capture her. So this wedding is styled with her personality in mind. 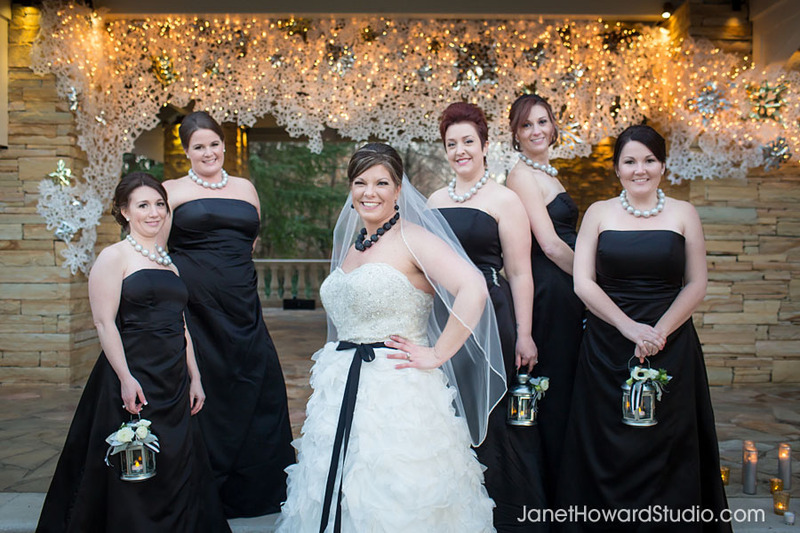 I LOVE the big, chunky necklaces on the bridesmaids (and the bride!). And Erin isn’t a flower-y kind of girl, so the bridesmaids carried lanterns rather than bouquets. 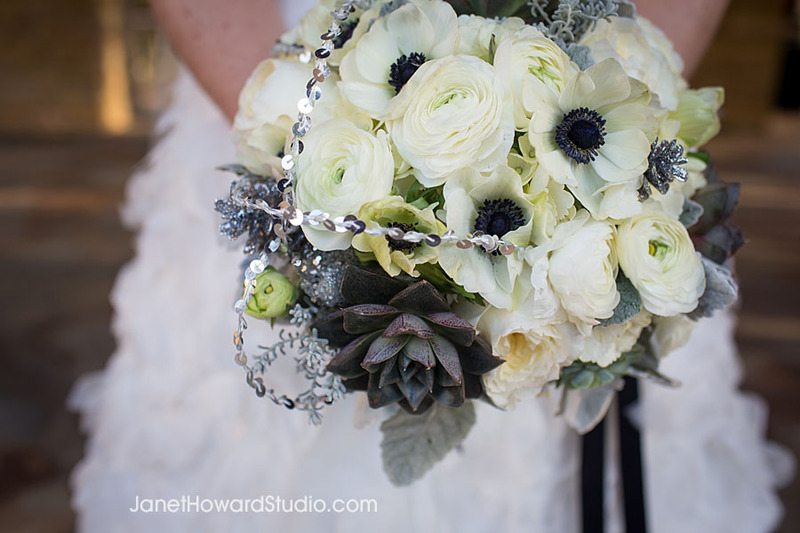 What does a great florist do when the bride isn’t that into flowers? 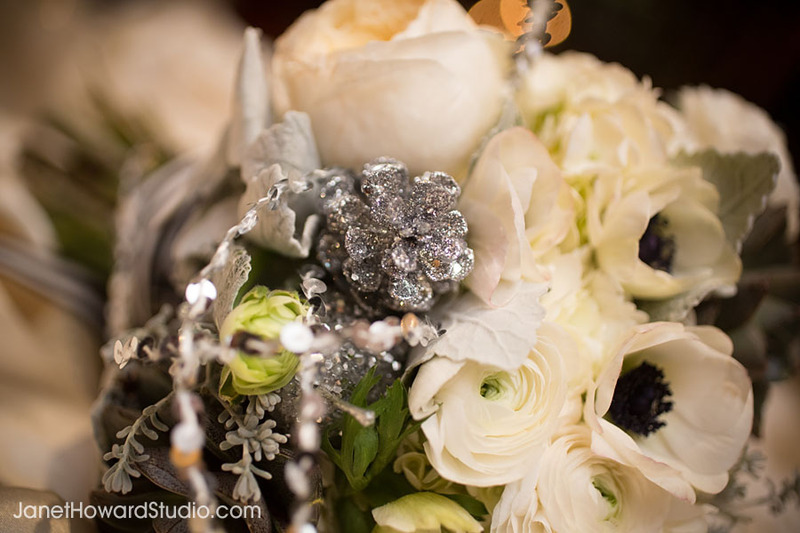 Juli Vaughn created this fabulous black and white bouquet filled with sparkly, snowy details. 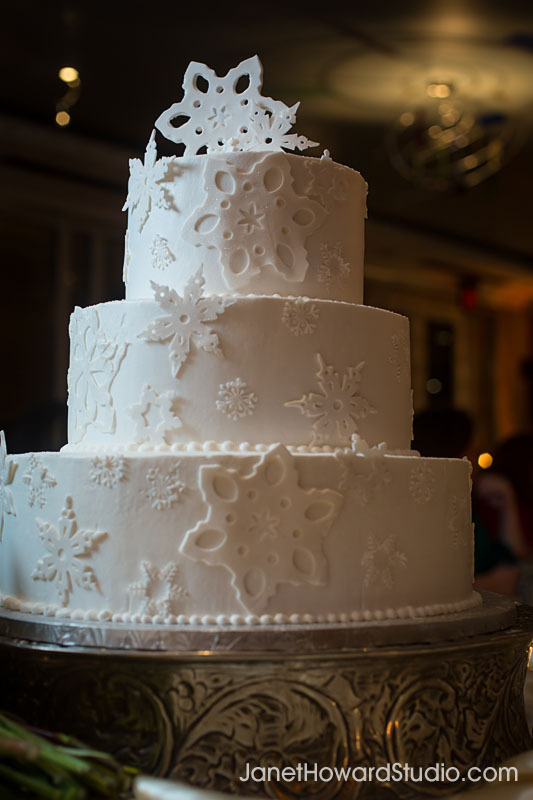 The cake was snowy too! 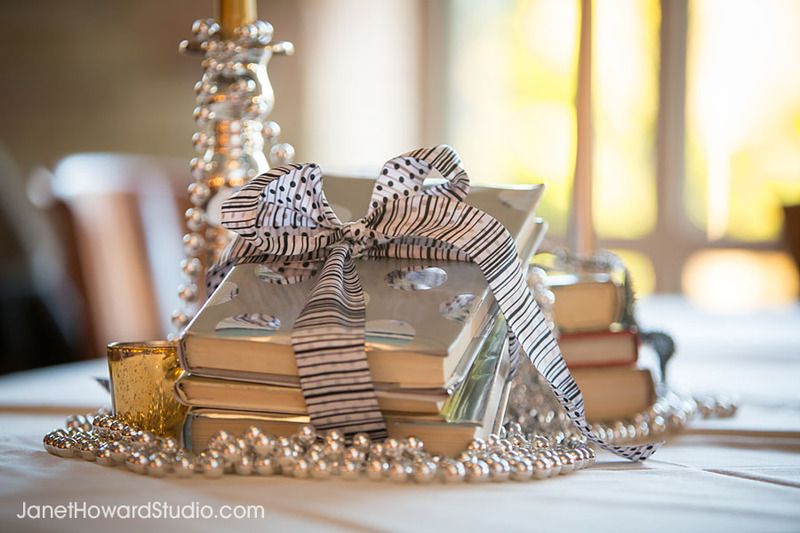 Rather than floral centerpieces, they created these awesome warm collections of books, candles, snowflakes and beads. I really love the warmth it brought into the dining room. 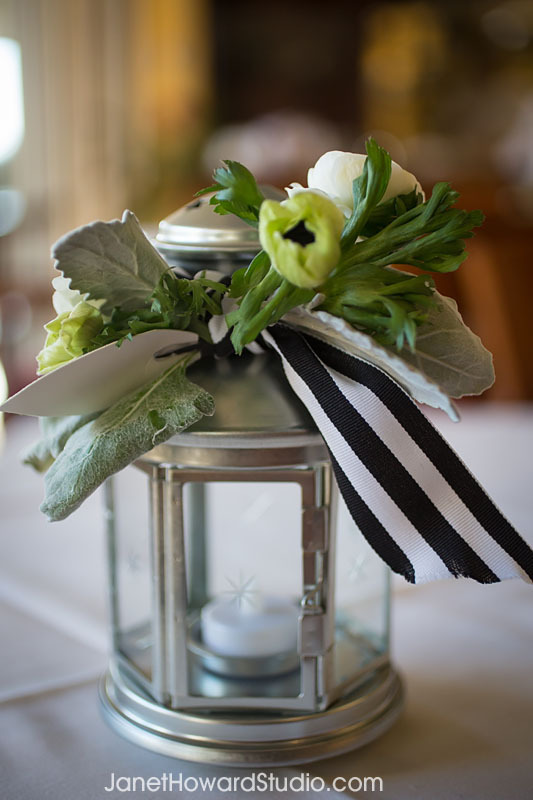 And all these details were brought together by the always awesome Emily at Stella Harper Events. These tables really set the tone for an evening of fun, conversation. 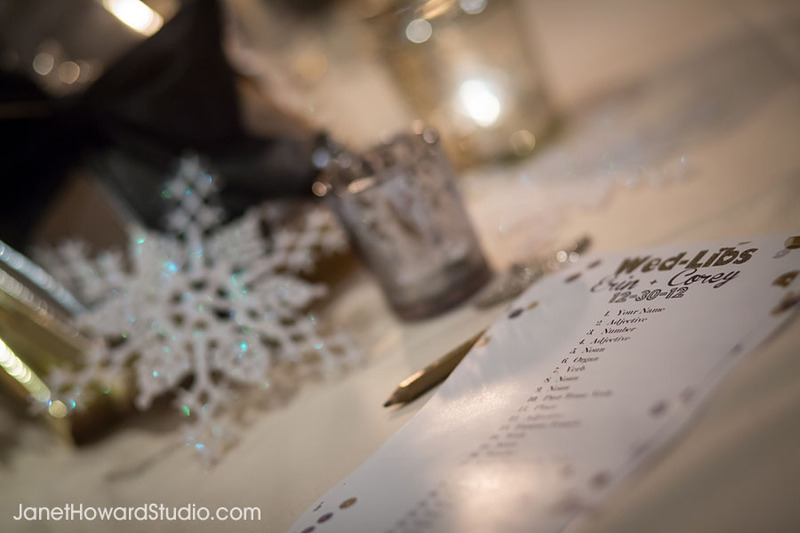 A fun activity: Mad-Libs, enjoyed at the snowy tables. 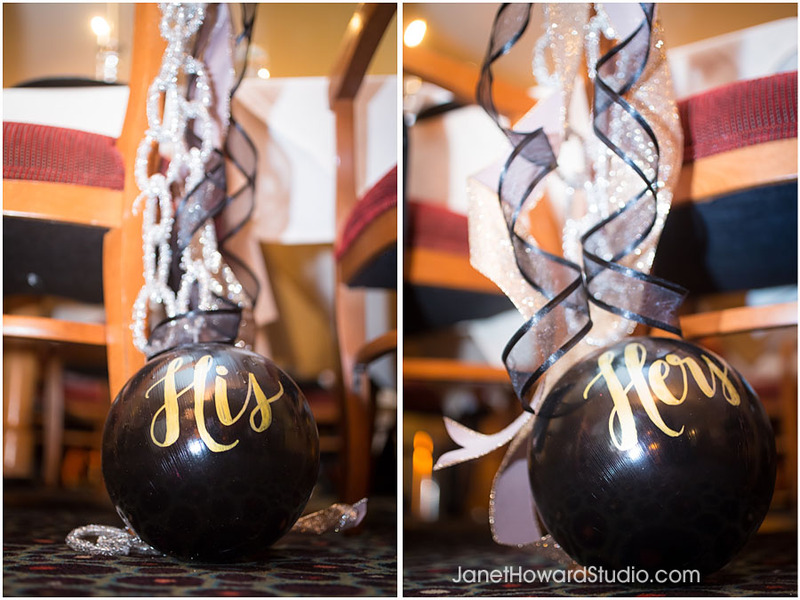 And for a lighthearted twist: His and Hers ball and chains. 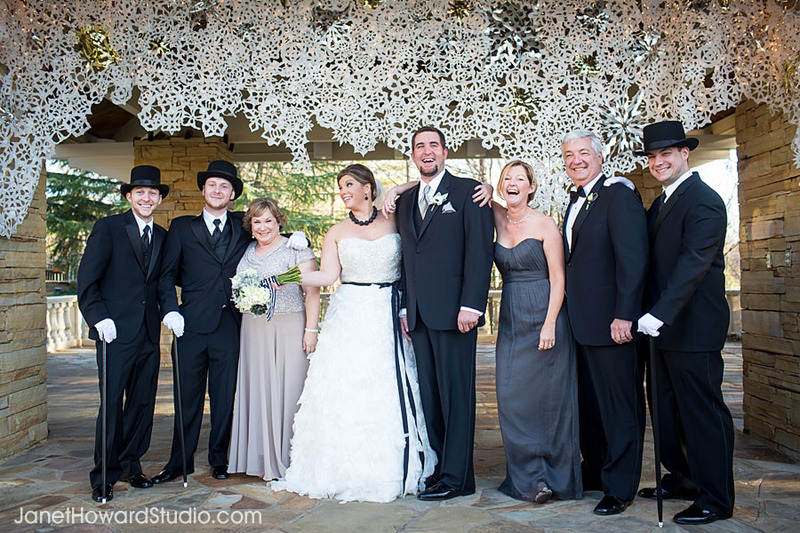 While this wedding is filled with gorgeous details, it’s even more about the PEOPLE. The personalites. The fun. 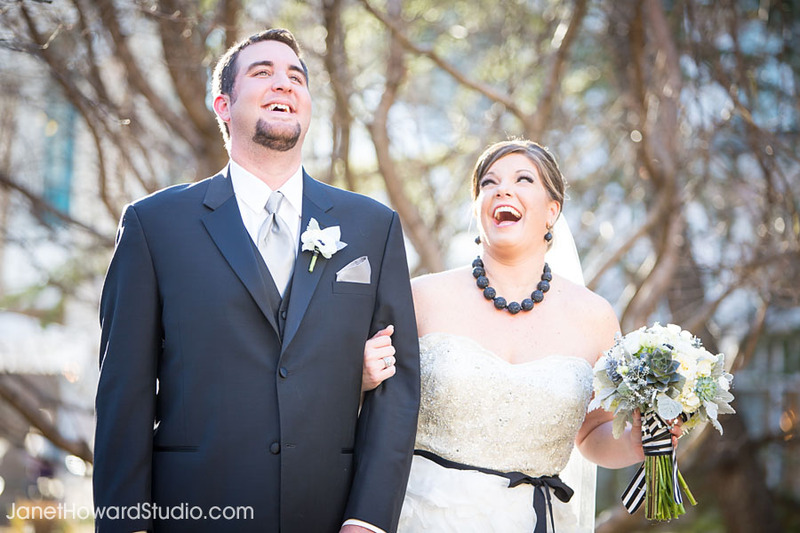 This is one of my favorite images of the day because it shows you how Erin and Corey are naturally… filled with laughter. I’ll be back tomorrow with more about Erin and Corey, and the rest of their super fun family and friends.